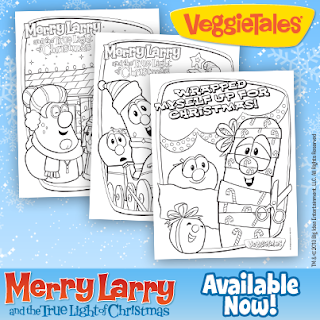 REVIEW: Merry Larry and the True Light of Christmas! + 40% off!! 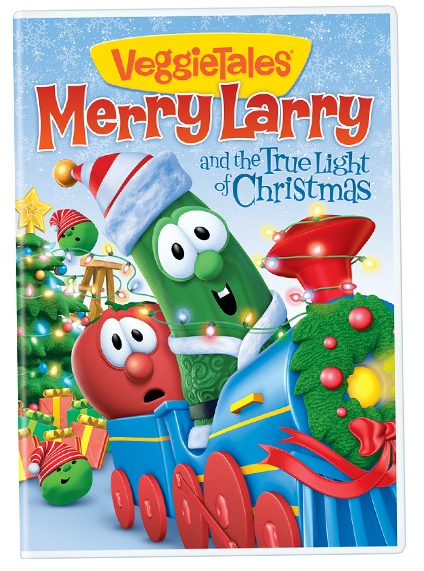 VeggieTales has come out with a new Christmas movie!! Merry Larry and the True Light of Christmas is a great show that teaches kids about the true meaning of Christmas. The story is set in a mall that hires a crew to make it the brightest place to go for Christmas. Merry Larry the elf finds a girl who is trying to serve her neighbor. My daughter says "that's what Christmas is really about" YEAH! How great to have a show geared towards my little kids that teaches important lessons. I love having stories like this one that my kids love and that we can easily talk about together. This movie is fun for kids and adults and will definitely become a tradition! 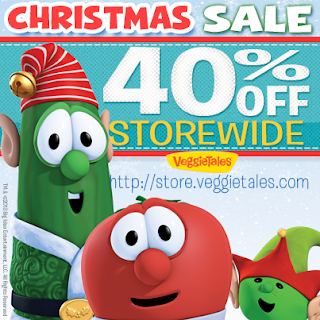 Also going on now is a 40% off sale at the VeggieTales Store!! You can get Merry Larry and the True Light of Christmas for $8.99!